Many people like to dismiss animation as cartoons or movies for children. But animation is just another visual language—a way of expressing the mind and soul of human beings, of their relationship to society. It can critique, it can enlighten, it can create illusions, it can be fanciful, it can be real. I would like to talk about Metropolis (2013), an animated short film created by the English visual artist Rob Carter. It takes the viewer to North Carolina, in the United States of America. This film uses the city of Charlotte as an example, to explain population density and how a city develops over time. Metropolis starts by showing us wildlands. Then we see human beings gathering together, to erect the first building, the first church, a village, a city. They keep going until skyscrapers and highways and stadiums appear, over a period of four centuries in real time. But Carter takes us through it all in a matter of minutes, using stop-motion to represent the monumental change that the landscape undergoes. 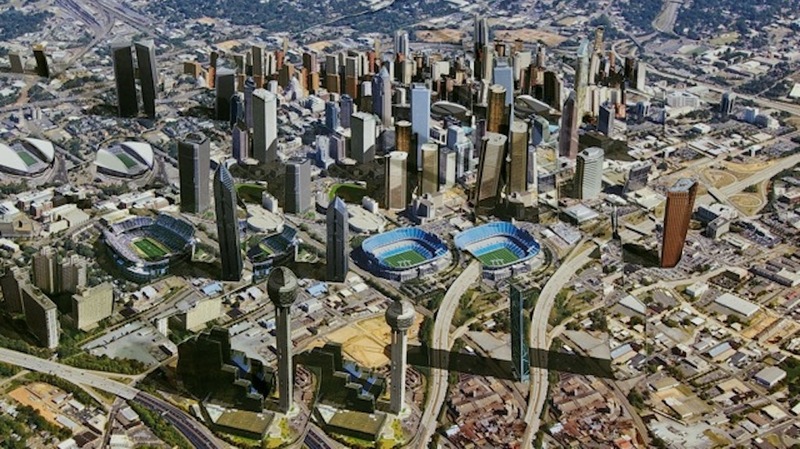 Now that man-made architecture has ended up covering most open spaces, it might be difficult for urban citizens to imagine how Charlotte once looked. In the film, we see how a modern society is born—suddenly, without warning, like a jump cut! Carter uses a satirical tone to comment on ‘progress’ as defined by humans—dismissal of cultural heritage, disregard for the environment, a city born of destruction. Coco is an independent animation event programmer. If you cannot find her in reality, she must be lost in dreams of film. Her website can be found here.